Are you concerned about software security? Could your organisation be hurt by cyber-theft; could your customers suffer privacy leaks that would cause you huge fines, embarrassment or damage; or could rival organisations gain a march on you through digital stealth attacks? If you work with software development teams, however professional they may be it's quite likely they may need support to change their ways of working to deal with these new security threats. Security Lancaster now offers a ‘security package’ to empower a software development team to deliver cyber-secure software. We call it ‘Developer Essentials’. It takes less than half a day of workshops to get a team’s leaders, programmers and testers more adept at software security. It also empowers one or two of the team to lead the workshops themselves in future. 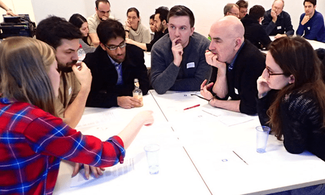 We’ve now run the package with over a dozen different teams in a wide variety of organisations, ranging from a government group to a startup working with school leavers; in every case the participants both enjoyed the workshops and benefitted from them. Introductory lecture, half-hour, outlining the techniques and the process (by ourselves). Following this session we normally have two or three one hour follow-up sessions – typically by videoconference - with the key participants over the next three months. These interviews help us improve the techniques for you and others to use in future. We are happy to offer commercial levels of confidentiality, and anonymity. Staff costs are paid for by the university, as part of our research. To sign up while places are still available, please email Charles Weir now or call him on 07876 027350.